An innovative waterfront city-within-a-city, stretching 4 km along Dubai Creek, Dubai Festival City covers over 1,600 acres. It offers an excellent mix of entertainment, dining, shopping, edutainment, sport and leisure facilities, automotive dealerships, hotels, a marina, residential and office components, as well as an 18-hole championship Al Badia Golf Resort, designed by Robert Trent Jones II. Upon opening it has transformed shopping, living, leisure and working lifestyles in Dubai. Visual Terrain was responsible for all site and infrastructure lighting visible to the guest or resident as well as roadway, street and pedestrian path lighting, bus shelters, water features, destination gateways and lighting integral to the urban furniture and signage throughout the site including the Al Badia and Hillside residential districts. Other areas include, Marsa Automotive Park and the Corniche. Visual Terrain’s main goal was to create a master plan for the site and infrastructure lighting that was not only unique to this property and well designed but addressed long term maintenance and operational concerns as well. 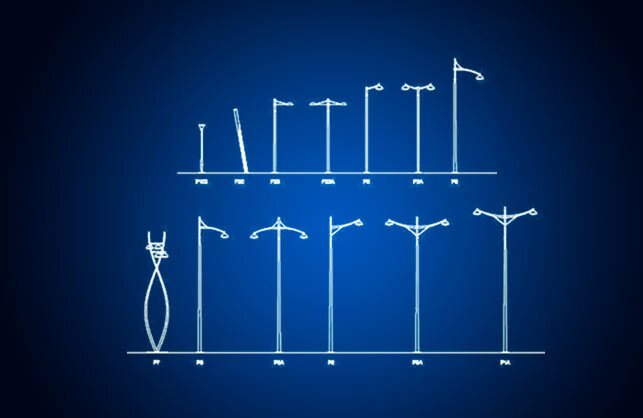 Poles, luminaires and lamps were all consolidated to minimize warehousing needs. Lamps were chosen for their low wattage long-life and good color rendition properties. We worked closely with the Development Owner to extend his identity and brand throughout the emirate, while also acting as a liaison to the Dubai Municipality and other city offices to ensure we were within the city and country standards and guidelines for street and roadway lighting. “Our objective was to develop an organic solution for the pole and luminaire. A design that would be simple and elegant, while also functional and timeless”. See also: Dubai Festival City – Mall and Dubai Festival City – Automotive Park.